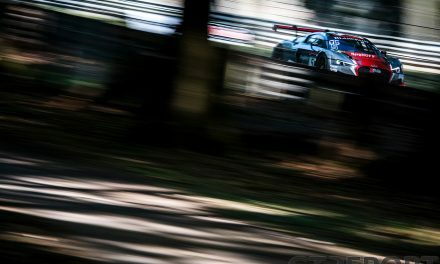 Five months since the last race car turned off its engine in the paddock of the Nürburgring, the Nordschleife came back to life again for the VLN Probe- und Einstelltag. The weather decided to play along and provide the typical weather you’d expect for any race at the Ring: Rain. Out in full force was BMW. The Germans gathered a small but impressive crew of engineers and drivers who didn’t make the Atlantic crossing for the 12 Hours of Sebring. 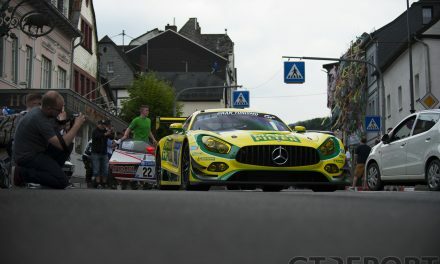 A lack of preparation wasn’t their downfall in last year’s 24 Hours of the Nürburgring as the German manufacturer didn’t leave any stone unturned in the months leading up to the Nordschleife classic. And yet, the big race became a disaster when technical malfunctions early on dashed any hope for a BMW win. Nine weeks later, whatever had haunted BMW in their home race had disappeared as Rowe Racing was victorious in the 24 Hours of Spa. Among the BMW soldiers that will invade the Nürburgring from 25 to 28 May for the twice round the clock was Schubert Motorsport. The two carbon-black BMW M6 GT3s were piloted by three of Bayern’s finest: Bruno Spengler, António Félix da Costa and Tom Blomqvist. Another BMW representative at the test was Team Schnitzer, who welcomed back Augusto Farfus with whom the team won the N24 in 2010. 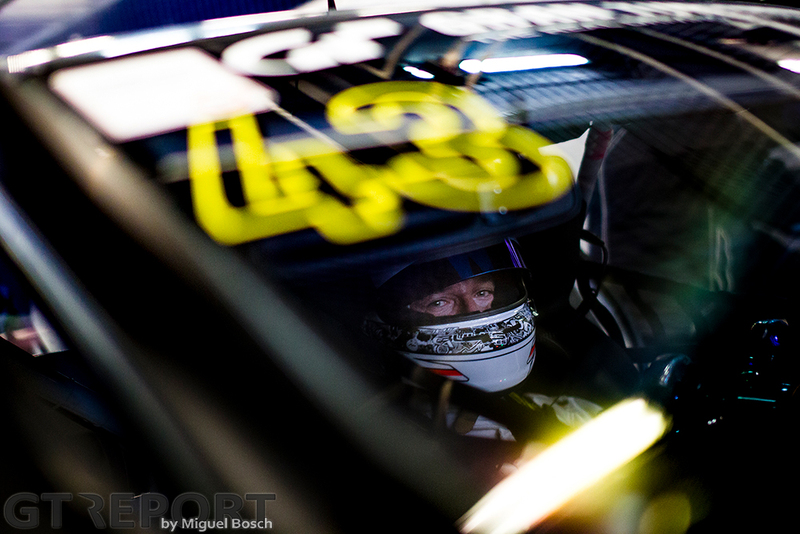 Farfus was joined by fellow BMW heavyweights Timo Scheider and Marco Wittmann. 2017 will mark the return of ‘Traditionsrennstal’ Schnitzer to the 24 Hours of the Nürburgring, a race won many times in the long history of the BMW loyalists. 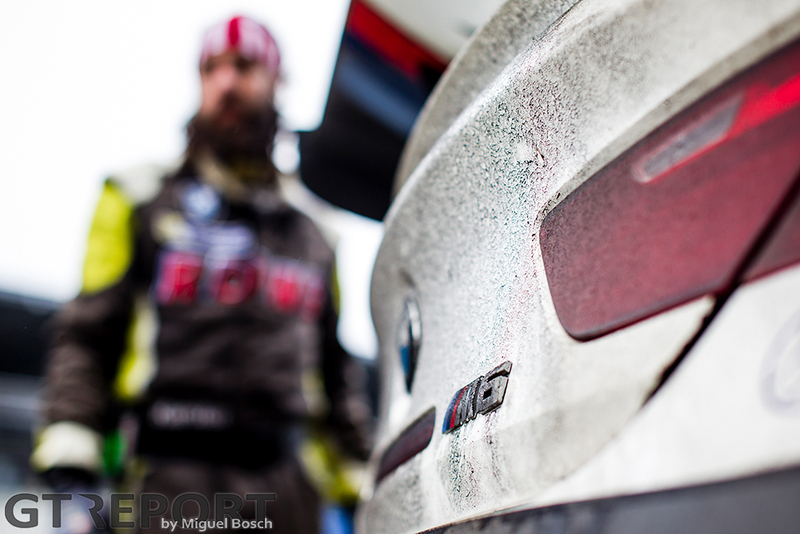 Rowe Racing, the third of BMW’s works teams, went through their testing program with two cars. Maxime Martin, Markus Palttala and Philipp Eng returned as its drivers while adding former Audi ace Marc Basseng to its line-up. The quartet will be joined by Alexander Sims, Richard Westbrook and Nick Catsburg in the run-up to the N24. 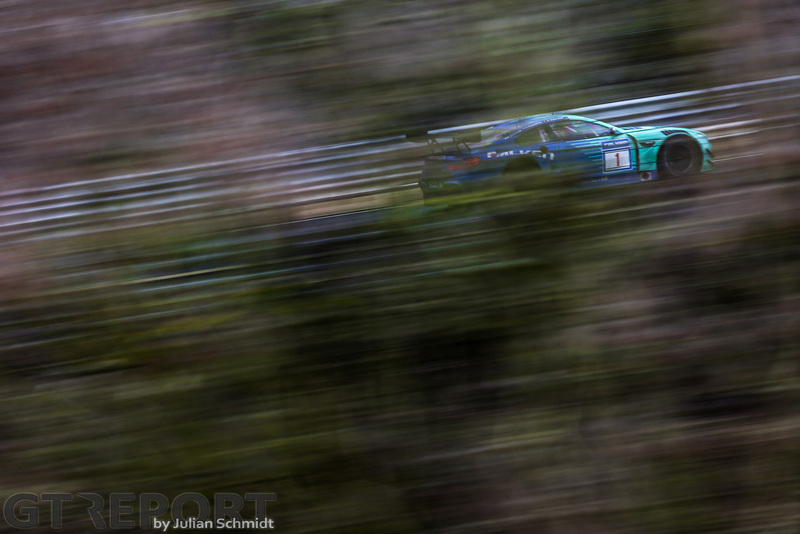 Falken Motorsports also brought their new BMW M6 GT3, driven by Stef Dusseldorp and Peter Dumbreck. 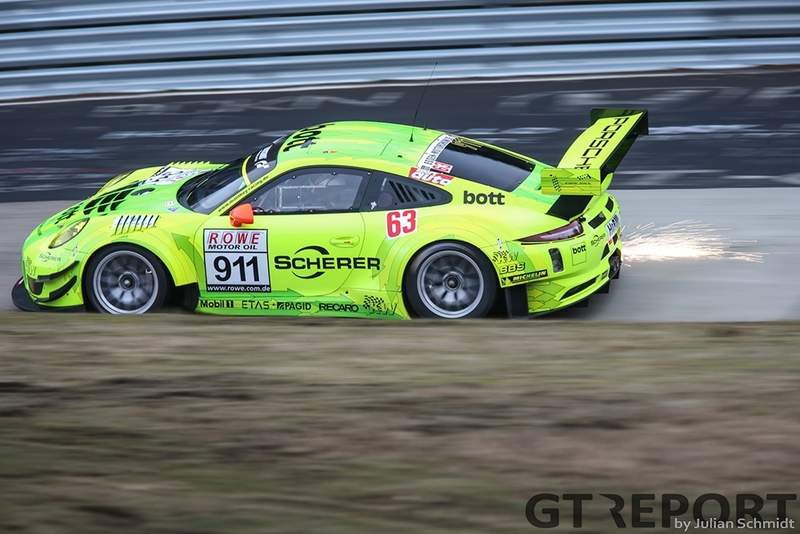 The Schnabl Engineering-run squad will continue to race the Porsche 991 GT3R alongside the BMW. More factory engineering was found over at the Land Motorsport pit box. While one group was in Sebring, those who remained behind, like founder Wolfgang Land himself, took testing duties upon them. Under the watchful eye of a large group of Audi Customer Racing and Bilstein personnel pilots Markus Winkelhock, Christopher Haase, Fred Vervisch and Pierre Kaffer took to the wet track, often running the Montaplast-coloured and new red-black Audi R8 LMS GT3s in tandem. 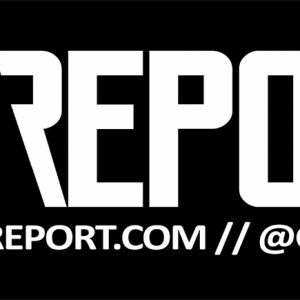 The test drivers will be joined by Land-regulars and reigning VLN Speed Trophy championships Christopher Mies and Connor De Phillippi. GetSpeed Performance seems to have won the first battle of the year already before the racing has gotten underway. 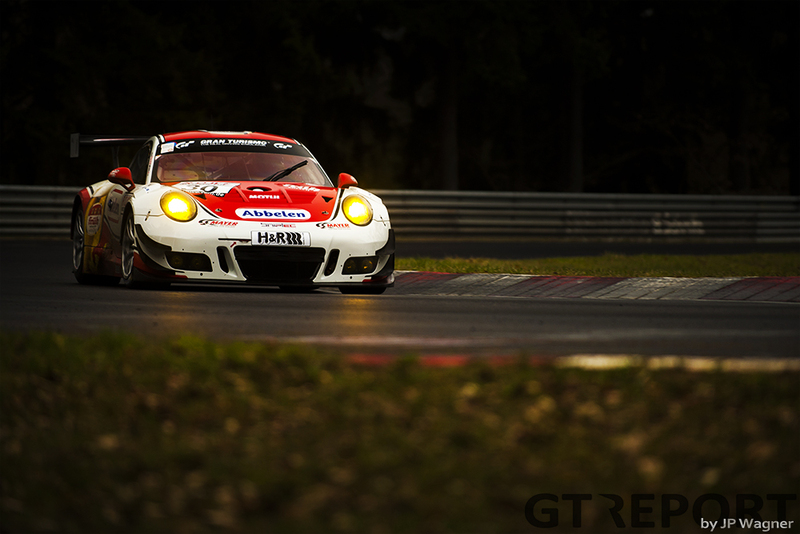 Not only have J2 Racing and Frank Kräling’s Porsche squad joined the fold, so has 2016 VLN champion Alexander Mies. Although no longer together with co-champion Michael Schrey, Mies is joined in the number 1 Vodafone Porsche 991 GT3 Cup by 2011 champion Tim Scheerbarth and Steve Jans. 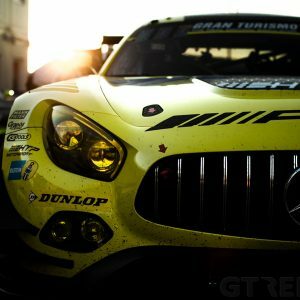 After the influx of many new GT3s that made the 2016 VLN pre-season test look like an international car show, there weren’t any new GT3 racers to show this year. But there was the Renault Sport R.S. 01. Built to GT3 spec and run by GTronix Team mcchip-dkr, the French car will make its debut on the Nordschleife this season. Dörr Motorsport is back with a supercar after having dropped the McLaren MP4-12C GT3 in 2014. Although it comes close to it, this time it’s not a GT3. 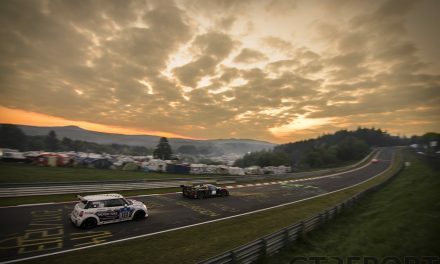 Instead, the racers from Frankfurt are bringing the Lamborghini Huracán Super Trofeo they last year raced in the Lamborghini Blancpain Super Trofeo to the VLN championship, sporting an unusual brand of racing rubber: Giti Tire. 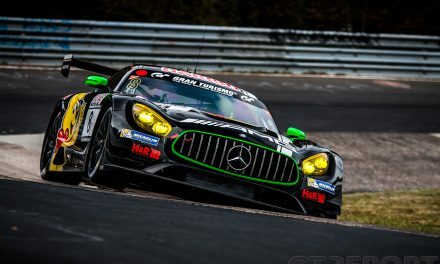 The Singaporean tyre manufacturer competes at the Nordschleife for the very first time this year as they partner with Dörr. No less than 187 different cars are expected to show up to the VLN races this season, an increase of 32 cars compared to last year at this point in the pre-season, no doubt helped by the introduction of the global TC3 class specifically designed for small touring cars, the ever-increasing interest from GT3 manufacturers and burgeoning BMW and Porsche Cayman cup classes. 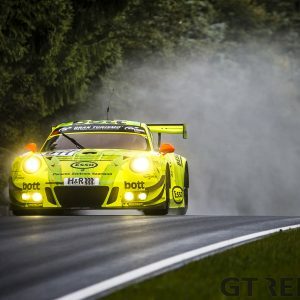 The first race of the season, the one where the real preparations for the 24 Hours of the Nürburgring begins, is scheduled for 25 March with the 63. ADAC Westfalenfahrt.